Thank you Tide Tables Restaurant, especially Bob and Gwen for your donation! 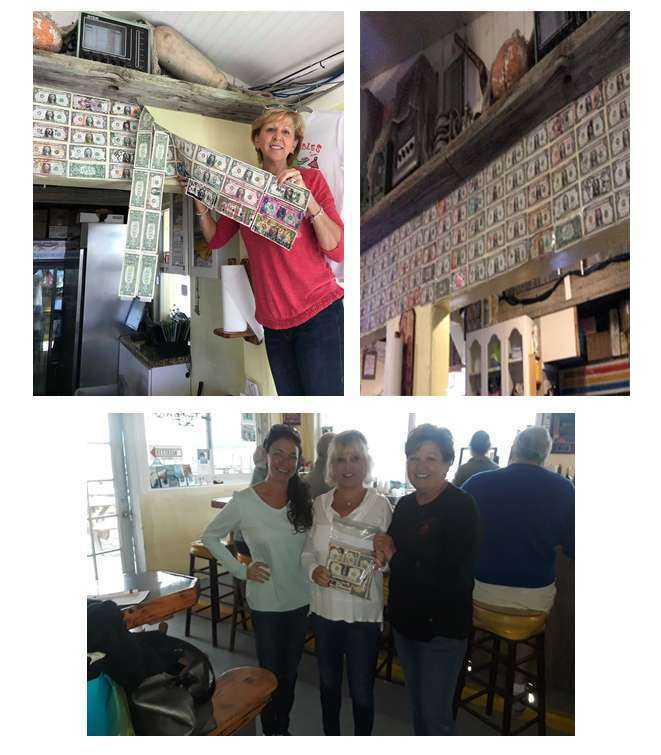 Each year, customers from all over America visit Tide Tables Restaurant in Cortez/Bradenton, Florida and post dollar bills with their name, state or slogan all over the restaurant walls. The quaint little dock-side, family friendly restaurant is owned by Bob and Gwen Woodson of Bradenton. 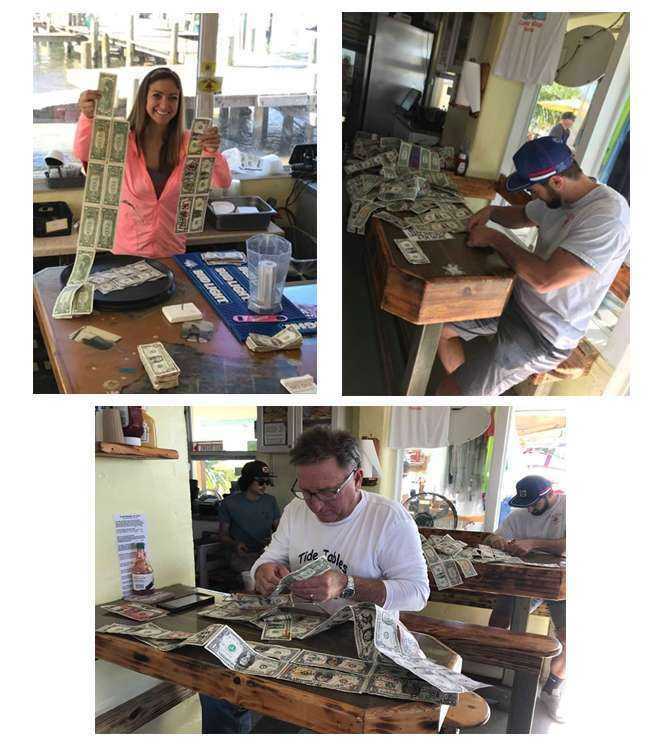 At the end of each year, Tide Tables removes the dollars to start over for the following year. This year, Bob and Gwen donated $525.00 of those dollars to “A Cure for Alex”. THANK YOU Tide Tables for your generous donation and thanks to all your wonderful staff who’ve helped us raise donations throughout the year and who registered with Be the Match in an effort to help find a bone marrow donor for Alex and those like him who are waiting for a life-saving transplant.